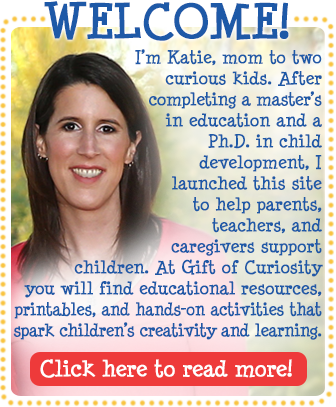 For the past year I have been taking an online Montessori class from KHT Montessori. While it would of course be ideal to take an in-person class, I have still learned a ton about Montessori education from the online class. 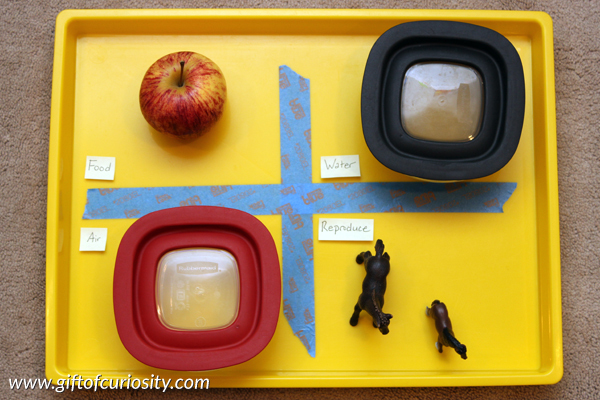 As we officially start homeschooling for kindergarten in a couple of weeks, I plan to use many of the activities in the Montessori albums from this class, particularly for our science activities. 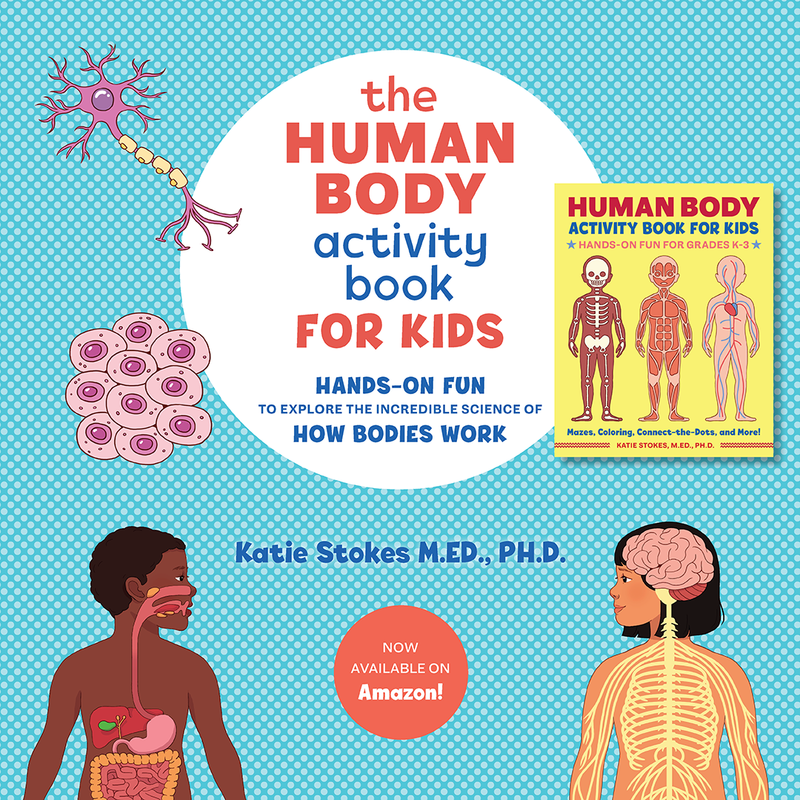 From what our instructor has said, it is important to do an introduction to living and nonliving before moving on to the other science topics. 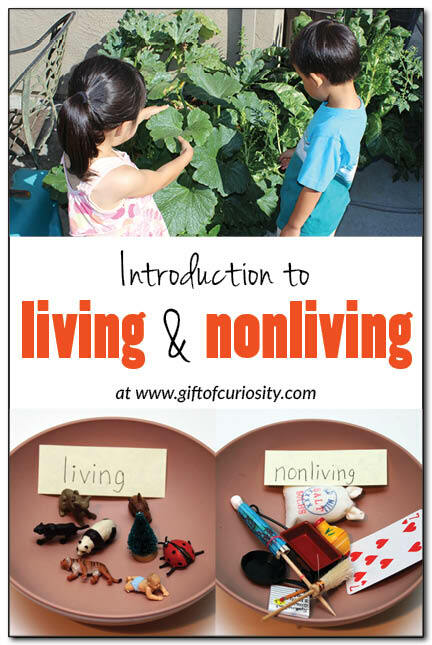 So we recently did a number of activities on living and nonliving that I will be sharing over the course of several posts. 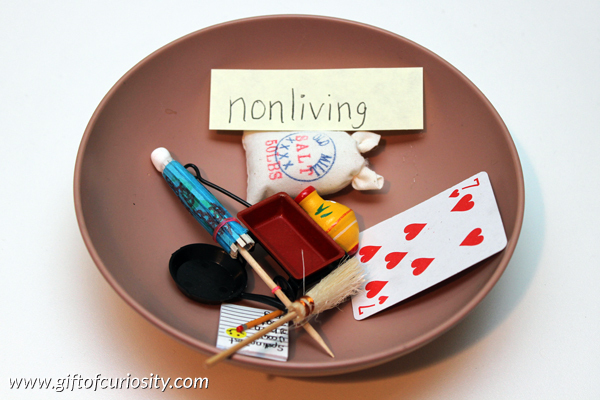 This post focuses on introducing living and nonliving. 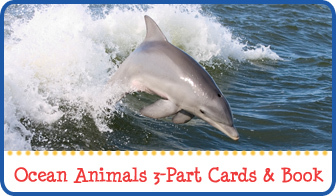 I have another post in which I share activities to introduce once living as well as books about living and nonliving. 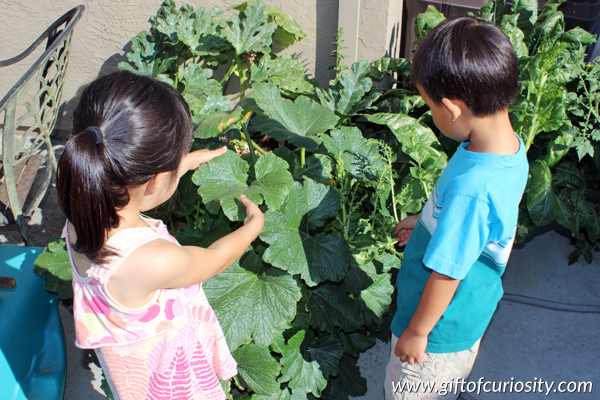 Note: Looking for more Montessori inspired science activities? 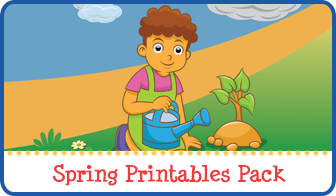 See my Science Activities for Kids page and my Montessori Activities page. 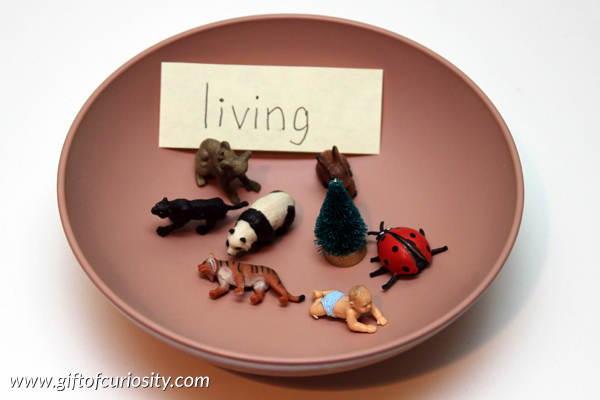 Note that the picture below should include a “Living” label for the tray itself. After discussing this tray at length, we went outside for a walk in our backyard and around the block to look for living things. Even though I had not yet introduced nonliving things, my kids already made the connection and pointed out both living and nonliving things on our walk. On another day, I created two bowls with mini figures representing both living and nonliving things. 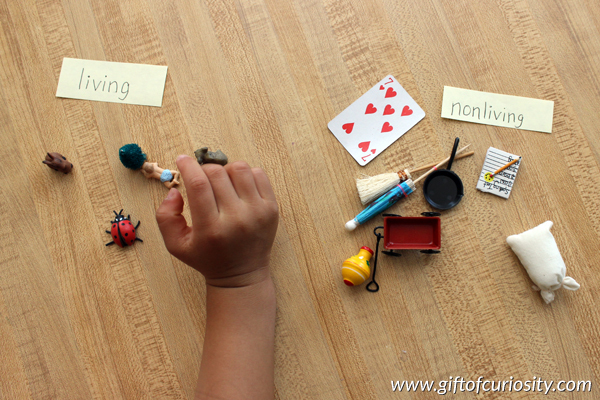 After we discussed these objects and why they were living or nonliving, I mixed them all together and had XGirl sort them into living and nonliving piles. 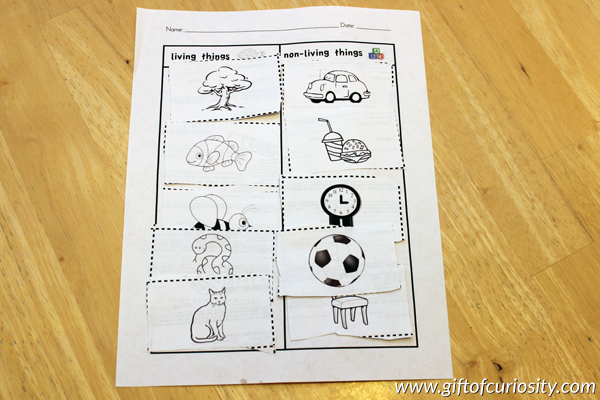 After sorting the miniature objects, I printed out this Living and Nonliving Things Packet from Mrs. Wheat’s Teachers Pay Teachers Store. My kids cut out the pictures and sorted them into the appropriate categories. 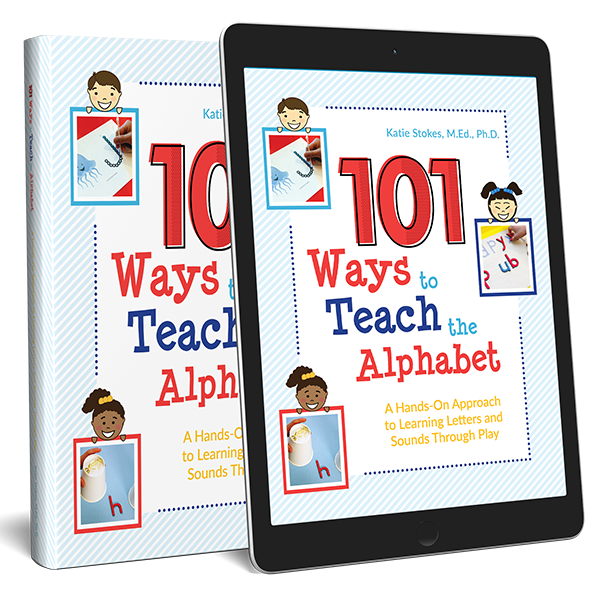 This looks like a great way to teach a valuable lesson. I always love your science units and how you present them. What a great introduction to living and non-living. Excellent post! Thank you so much for all the suggestions!